Description "River landing" was also called Oswego Landing; the sandy beach near the bridge. Now part of George Rogers Park. 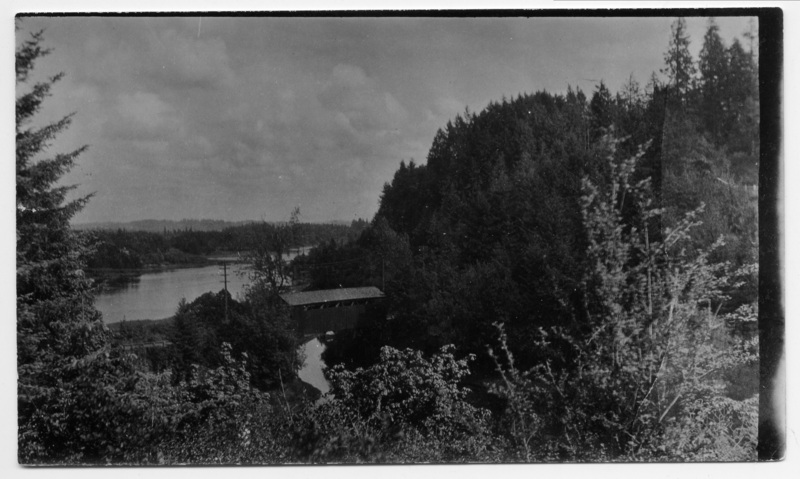 The bridge and Old River Road ran along the Willamette between Oswego and West Linn.